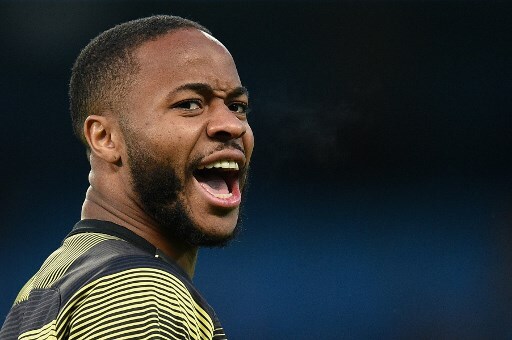 Raheem Sterling had his own special fan club in attendance as Manchester City eased into the FA Cup final on Saturday with the England winger paying for 550 pupils of his former school to attend the match at Wembley. However, appreciation of Sterling the player and the man now extends from the estate he grew up in the shadows of England’s national stadium, to Manchester and beyond as he becomes an ever more important figure on and off the field for club and country. City go into Tuesday’s Champions League quarter-final, first leg at Tottenham still on course for a historic quadruple of trophies. Sterling scored the winning penalty as they retained the League Cup in February, and the Premier League title is also still in their hands despite a titanic battle with his old club Liverpool. His 19 goals and 16 assists for Pep Guardiola’s men have seen him emerge as City’s leading candidate for player of the year awards, while a three-year drought for England has been emphatically ended by a run of six goals in his last four international caps. “He is incredible,” said England captain Harry Kane, who has the challenge of outgunning his international teammate for Tottenham in three meetings over the next two weeks. At just 24, Sterling though is not just blossoming as one of the world’s best players, but a leading campaigner in football’s fight against racism. A teenage protégé, the Jamaican born winger, made his England debut as a 17-year-old, but was often hounded by negative publicity and often not for his performances on the pitch at international level. Instead, harmless off the field activities such as buying his mother a house, taking a budget airline flight or even going for breakfast the day after missing out on a young player of the year awards were picked apart and judged. When his England teammates suffered racist abuse in Montenegro last month, Sterling stepped forward, firstly on the pitch by scoring and cupping his ears towards the home support, then by eloquently handling a series of post-match interviews calling for tougher sanctions. Guardiola has played no little part in Sterling’s development. The latter dubbed himself “The Hated One” during England’s embarrassing Euro 2016 campaign that ended in defeat to Iceland due to the stinging press coverage he received. The same summer Guardiola took charge at the Etihad and one of his first acts was to contact Sterling to tell him “I will fight for you”. Now City have a difference maker and not only when it comes to deciding how many titles they end the season with. “When people like Raheem express what they express, it’s good for our future society,” added Guardiola. The post Sterling matures into Man City’s difference maker appeared first on SABC News – Breaking news, special reports, world, business, sport coverage of all South African current events. Africa's news leader..